A zEdit patcher that lets you modify how much skill XP you gain from using each skill, and how much is needed to advance to the next level. The skill XP you gain from performing an action, and how much skill XP you need to level that skill, is determined by four parameters for each skill, for a total of 72 parameters. You can edit these in the CK, but unfortunately this will cause conflicts with many other mods (including perk overhauls). The XP Editor is a zEdit patcher that lets users customize these values without causing conflicts. where mult and offset are configurable parameters. The value of "mult" varies between skills, from 0.36 for speech, to 900 for enchanting. Offset, however, is always 0, except for lockpicking where it is 10. The greater these values the faster you will gain skill xp. The value of base xp depends on the action you have performed, for instance, casting an expensive spell grants more skill xp than a cheap spell. Mult scales this xp up or down, whereas offset gives you baseline xp, regardless of the base xp or mult. If you set all offsets and mults to 0, none of your skills will gain xp through practice, though skills books and training will still work. where mult and offset are configurable parameters. Both mult and offset vary between skills, combat skills tend to have a mult of 2 and offset of 0, while stealth and crafting skills have lower mults, but higher offsets. Placing more emphasis on mult makes each level require more xp, whereas placing more emphasis on offset causes each level to require a similar amount of xp. 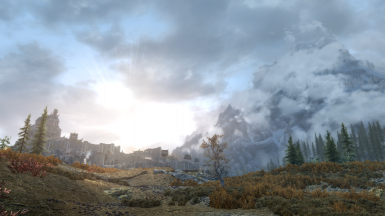 - Download it anywhere, not necessarily your Skyrim directory. - Download, and install zEdit. - In the top right is a button that looks like 3 little cubes, click it and it will show a list of currently installed patchers. - Click to install a new patcher. Navigate to where you downloaded the patcher and select it. - In the top right of zEdit is a button that looks like a jigsaw piece. Click it to bring up a list of your installed patchers. - On the left is a list of which patchers have config options. Go through the parameters, adjusting them to your taste. The mod description above tells you what each of them does. - Load your full load order. - In the top right is a button that looks like a jigsaw puzzle, click it to see a list of installed patchers. - Build the patch, it takes about 1s. - Once the patcher is complete exit zEdit, saving the created esp. The Uncapper - does not affect XP gain offsets, and some users have trouble getting it to load. Experience Multipliers - multiplies XP gained from skills books as well as from performing actions, though can be changed in-game. Being a zEdit patcher its compatible with everything! Open up more parameters to the patcher. I made this to go alongside Trainers Galore, which greatly expands the training system, allowing for training only runs if you turn off skill leveling through use. NPC Stat Rescaler﻿ - A patcher that adjusts NPC stats for faster, fairer, and less spongy combat.